Attention K -4 Teachers and Leaders! Assessment decisions that teachers make every day have a profound impact on our students, and this is especially true for our youngest learners. Katie White will share her experience with integrating learner centered assessment practices within new curricula. 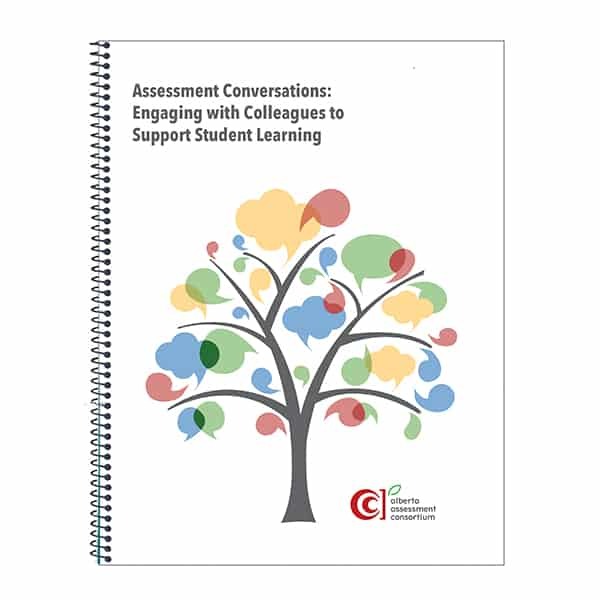 Participants will have an opportunity to work in grade level teams to create an assessment framework for a set of learner outcomes from the new K – 4 Alberta Curriculum. This is a perfect opportunity to consider the kind of classroom assessment practices that will empower our students and fuel hope. Katie White has been a K- 12 classroom teacher, learning coach, and school and system leader. She is currently Coordinator of Learning for the North East School Division in Saskatchewan. Through her work at the system level, she was an integral part of her school division’s multiyear journey through renewed curricula and outcome-based assessment and reporting. This work led her to develop an integrated understanding of the relationships among curriculum, assessment, instruction and learning. Her work with educators supports both a holistic understanding of learners and how they interact with our school systems, alongside an in-depth refinement of practices that support teaching and learning in classrooms. Katie also works as an educational consultant and is the author of two resources published under the Solution Tree label: Softening the Edges: Assessment Practices That Honor K-12 Teachers and Learners and Unlocked: Assessment as the Key to Everyday Creativity in the Classroom. This link will take you to the Eply registration form. New AAC Publication Now Available! Available Now from the AAC Store! Save the GST until May 31.